ST. PETER, Minn. – The No. 28-ranked Gustavus women’s tennis team enters the Minnesota Intercollegiate Athletic Conference Playoffs as the No. 1 seed after clinching the program’s 29th regular season championship after a 4-0 weekend to close out the regular season unbeaten at 10-0 in the MIAC. The Gusties are set to host a semifinal match versus the winner of No. 4 seed Bethel University on Thursday at Swanson Tennis Center. Carleton College enters as the No. 2 seed and will host the No. 3 seed St .Thomas in the other seminal matchup. The highest remaining seed will host the Championship at 1 p.m. on Saturday. The Gusties finished the regular season with a 15-7 overall record and went 10-0 during conference play to clinch their 29th MIAC regular season championship in program history. In search of its eighth and third-straight MIAC Playoff championship, Gustavus has won the postseason title in all but four seasons since the installation of the playoff tournament in 2007. No. 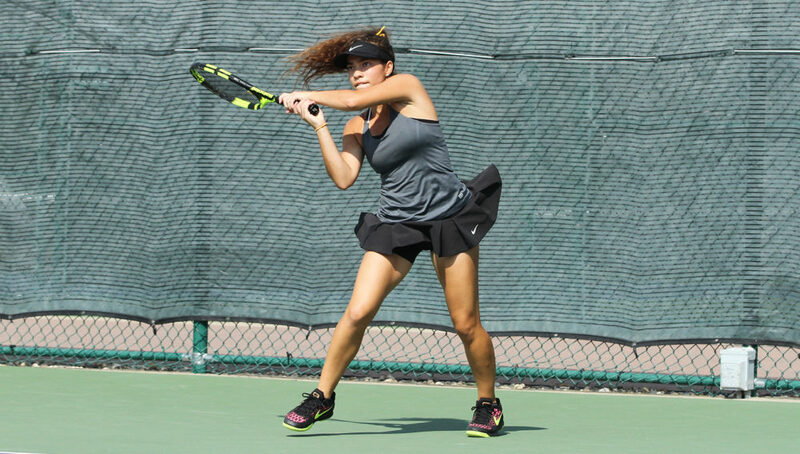 1 singles and doubles player Briana Hartmann (Jr., Owatonna, Minn.) finished the regular season with a 22-7 singles record and 16-8 doubles mark and was undefeated during conference action.